More Australian Retailers Yanks ESO From Shelves In a move that will not quiet the rumors that Elder Scrolls Online is going free-to-play, another Australian retailer is reportedly pulling the game from its shelves. Following a similar decision from EB Games, Australian retailers JB Hi-Fi and Harvey Norman are also getting rid of its ESO stock, according to a report. 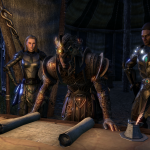 This coupled with the fact that ESO stopped selling six month subscriptions recently has some thinking that The Elder Scrolls Online will move to a free-to-play gameplay model soon, but ZeniMax has not commented on the speculation. We expect to hear more on this story soon. ESO Patch Kills Bambi Before the big 1.6 update adds the new Justice and Champion systems, Zenimax has pushed out one more minor update for The Elder Scrolls Online. 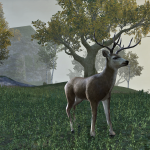 This latest update focuses mostly on gameplay tweaks, but it also bizarrely eliminates deer and torchbugs from Cyrodiil. 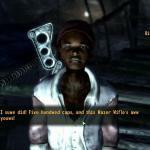 Yep, ZeniMax says this was done to reduce server strain. Deer must be hell on networks. 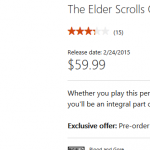 Microsoft Lists Feb. 24 release Date for The Elder Scrolls Online on Xbox One A newly updated product page from Microsoft shows The Elder Scrolls Online releasing Feb. 24 on Xbox One. Debates are already raging about whether this is the real date for the console releases or just another placeholder. Bethesda has said they want the Champion and Justice systems from the upcoming 1.6 update to be fully implemented before the console versions are out, so although it would be possible, it seems a little soon. Rumor: Elder Scrolls Online Pulled From Retail Store in Australia Rumors that The Elder Scrolls Online will soon go free-to-play keep getting additional fuel. A report says a major Australian retailer is pulling it from its shelves entirely. EB Games says this move is part of a normal stock recall, but it’s pretty weird to pull an online game that’s still selling and functioning. Kotaku Australia says its sources show that other games being recalled are only having excess stock removed, but everything related to ESO will be completely wiped from the store by Aug. 14. Bethesda’s blog has an in-depth interview with Will Smith, one of the modders from the Dark Creations Team that has been working for three years on the ambitious Beyond Skyrim mod. 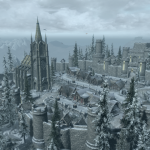 Beyond Skyrim seeks to make other areas of Tamriel available in the Skyrim engine, including Cyrodiil and High Rock. 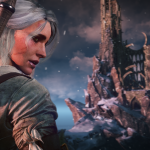 Here’s What You’ll Need to Run The Witcher 3 on PC If you’re like us, you’re eagerly awaiting the next installment of The Witcher series by CD Projekt RED, The Witcher 3: Wild Hunt. If you’re like us, but also a PC player, you’ve also been looking at screens of the gorgeous game and wondering if your rig can handle it. Here’s your answer. 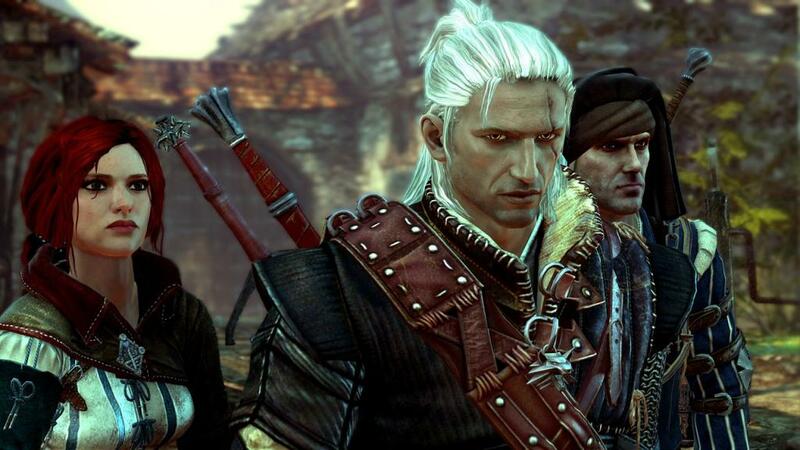 CD Projekt RED has released the game’s system requirements. Bit of an ouch for those with older setups. Does your rig make the cut, or is time to upgrade? You’ve got until May 19, when the game is out on Windows, PS4 and Xbox One. 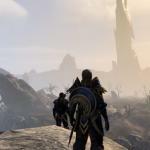 Here’s a Strong Hint The Elder Scrolls Online Might Go Free-To-Play Is free-to-play the future of MMORPGs? After experiencing some free-to-play MMORPGs that get dangerously close to a “pay-to-win” model, I’m not so sure. But some people certainly think so. And The Elder Scrolls Online was heavily criticized by those people when it launched last year with a traditional subscription model instead of a free-to-play scheme. Those people may get their wish soon. 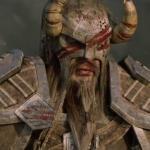 As PC Gamer reports, ZeniMax has pulled its six month subscription option from its site. All that are left are options up to 90 days. 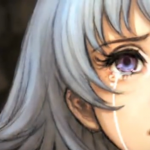 Final Fantasy creator Hironobu Sakaguchi recently uploaded something very unexpected to YouTube, a concept trailer for his long-canceled RPG Cry On. Cry On was first announced as an Xbox 360 title for Sakaguchi’s studio Mistwalker in 2005 and canceled in 2008, and it definitely has the look of a JRPG from that time period. Look at all that cel-shading! Cry On’s theme was supposed to be tears of sadness and joy, and there are tears aplenty in the concept trailer. You also get a glimpse of a large golem that was to be a main character/gameplay mechanic. ESO Wins ‘Great MMO Faceoff’ Newbie Category ESO has had a rockier year than many anticipated, with a lot of early players jumping ship and the promised console version being delayed until 2015. But here’s some good news. The game still managed to eke out a win as the best new MMO in an online poll.